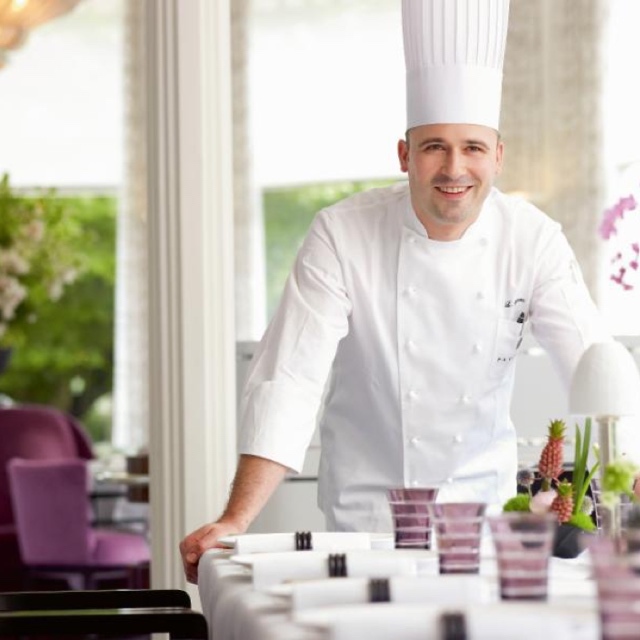 The Pavillon restaurant at the Baur au Lac in Zürich has been awarded a second Michelin Star, it was announced earlier this week by the Michelin organization. “This comes as the perfect gift as we celebrate the 175th anniversary of our hotel,” said Andrea Kracht, sixth-generation owner of what is often described as the world’s finest hotel. “Being awarded a second Michelin star is an incredible honor for our team,” says Pavillon chef, Laurent Eperon, “because maintaining the highest standards and inspiring our guests with new creations each time they visit are my biggest goals and most daunting challenges.” Eperon has over 20 years of experience working at the Baur au Lac and 10 years as the head chef at the Pavillon, bringing a creative and innovative approach to classic French haute-cuisine. Eperon stressed that he shares the upgraded Michelin recognition with restaurant manager, Aurélien Blanc, and Chef Sommelier, Marc Almert as well as their entire Pavillon team, all of whom take this accolade as motivation to continue focusing on total guest satisfaction. Voted the number one hotel in Europe in the 2018 Condé Nast Traveler Reader’s Choice Awards, the 119-room Baur au Lac has been owned and operated by the same family since it was built in 1844. A short walk from Zurich’s world-famous Bahnhofstrasse, the central Paradeplatz, Lake Zürich and the city’s bustling financial district, the hotel is a long-time favorite among the world’s elite, and is one of Europe’s few grand hotels that is still family-owned. In 2009, the hotel completed an approximately US$45-million renovation of its Michelin-starred Pavillon restaurant, Terrasse restaurant and various rooms and suites. This entry was posted in Travel + Food and tagged 360, 360 Magazine, anniversary, Aurélien Blanc, Bahnhofstrasse, baur au lac, Conde Nast Traveler, cuisine, europe, food, French, french haute-cuisine, Laurent Eperon, Marc Almert, Michelin Star, restaurant, sommelier, Tara McDonough, Terrasse, the pavillon, travel, Vaughn Lowery, Zurich on February 12, 2019 by wp360mag.